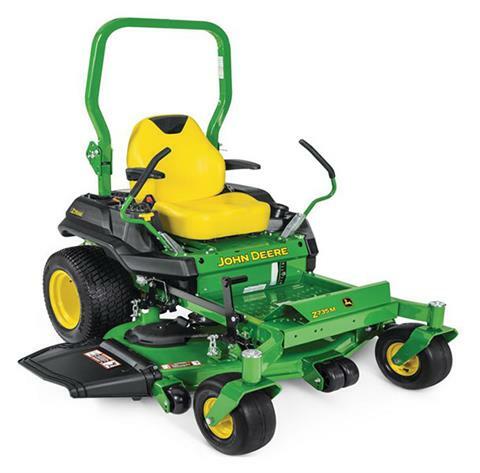 2019 John Deere Z735M 54 in. Smooth and powerful professional-grade V-twin engine for performance and long life. Transmission offers speeds up to 9.5 mph (15.3 km/h) to maximize mowing efficiency. Seat includes ComfortGlide™ suspension and adjustable springs for a smooth ride.